Rosalie Ida Straus (née Blun; February 6, 1849 – April 15, 1912) was an American homemaker and wife of the co-owner of the Macy's department store. She and her husband Isidor died on board the RMS Titanic. Macy's is an American department store chain founded in 1858 by Rowland Hussey Macy. It became a division of the Cincinnati-based Federated Department Stores in 1994, through which it is affiliated with the Bloomingdale's department store chain; the holding company was renamed Macy's, Inc. in 2007. As of 2015, Macy's was the largest U.S. department store company by retail sales. 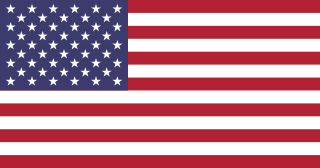 As of February 2019, there were 584 full-line stores with the Macy's nameplate in operation throughout the United States, Puerto Rico, and Guam. Its flagship store is located at Herald Square in the Manhattan borough of New York City. The company had 130,000 employees and earned annual revenue of $24.8 billion as of 2017. A department store is a retail establishment offering a wide range of consumer goods in different product categories known as "departments". In modern major cities, the department store made a dramatic appearance in the middle of the 19th century, and permanently reshaped shopping habits, and the definition of service and luxury. Similar developments were under way in London, in Paris and in New York. Isidor Straus was a German-born American Jewish businessman, politician and co-owner of Macy's department store with his brother Nathan. 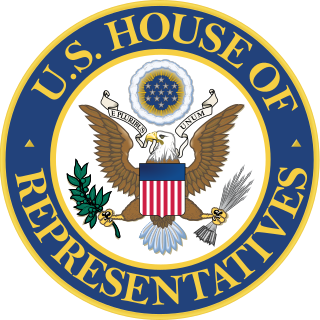 He also served for just over a year as a member of the United States House of Representatives. He died with his wife, Ida, in the sinking of the passenger ship RMS Titanic. Worms is a city in Rhineland-Palatinate, Germany, situated on the Upper Rhine about 60 kilometres south-southwest of Frankfurt-am-Main. It had approximately 82,000 inhabitants as of 2015. Alfred Fabian Hess was an American physician known for his work on the role of nutrition in scurvy and rickets and for describing the Hess test. The couple was considered especially close by their friends and family; when Isidor traveled as part of his duties as a U.S. Representative for New York or as co-owner of Macy's, they exchanged letters daily. Ida spent the winter of 1911/1912 in Europe with her beloved husband Isidor. They originally planned to return home on a different ship, but switched to Titanic due to a coal strike in England that caused the coal from other ships to be diverted to Titanic. The national coal strike of 1912 was the first national strike by coal miners in Britain. Its main goal was securing a minimum wage. After 37 days, the government intervened and ended the strike by passing the Coal Mines Act, establishing a minimum wage for the first time. On the night of the sinking, Isidor and Ida Straus were seen standing near Lifeboat No. 8 in the company of Mrs. Straus's maid, Ellen Bird. Although the officer in charge of the lifeboat was willing to allow the elderly couple to board the lifeboat with Miss Bird, Isidor Straus refused to go while there were women and children still remaining on the ship. He urged his wife to board, but she refused, saying, "We have lived together for many years. Where you go, I go." Her words were witnessed by those already in Lifeboat No. 8 as well as many others who were on the boat deck at the time. Isidor and Ida were last seen standing arm in arm on the deck. When the survivors of the disaster arrived in New York City aboard the RMS Carpathia, many – including Ellen Bird – told reporters of Mrs. Straus's loyalty and fidelity to her husband. Her story struck a chord with people around the world. Rabbis spoke to their congregations about her sacrifice; articles in Yiddish- and German-language newspapers extolled her courage; a popular song featuring the story of Ida Straus, "The Titanic's Disaster", became popular among Jewish Americans. Alma Cuervo (1997) ( Titanic , Broadway musical): When Ida decided to stay with her husband, they sang the song "Still". A memorial plaque is located in the 34th Street main entrance to Macy's Department Store in Manhattan. It was closed to the public after 2001 and used as a stockroom for many years. The entrance has 21-foot-high ceilings, a two-story granite arch and two brass plaques — one commemorating the deaths of Ida and Isidor Straus on the Titanic in 1912, and a second honoring employees who died in World War I. The "Memorial" entrance was reopened in November, 2013. The Isidor and Ida Straus Memorial is located in Straus Park at the intersection of Broadway and West End Avenue at W. 106th Street (Duke Ellington Boulevard) in Manhattan. New York City public school P.S. 198 (the Isidor & Ida Straus School) in Manhattan is also named after the Strauses. Woodlawn Cemetery is one of the largest cemeteries in New York City and a designated National Historic Landmark. Located in Woodlawn, Bronx, New York City, it has the character of a rural cemetery. Woodlawn Cemetery opened during the Civil War in 1863, in what was then southern Westchester County, in an area that was annexed to New York City in 1874. It is notable in part as the final resting place of some great figures in the American arts, such as authors Countee Cullen, Nellie Bly, and Herman Melville, musicians Irving Berlin, Miles Davis, Duke Ellington, W. C. Handy, and Max Roach and husband and wife magicians Alexander Herrmann and Adelaide Herrmann. Holly Woodlawn, after changing her name to such, falsely told people she was the heiress to Woodlawn Cemetery. 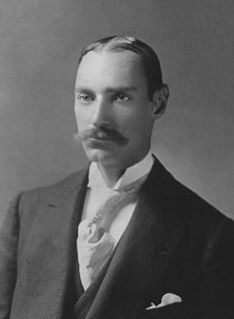 John Jacob "Jack" Astor IV was an American businessman, real estate builder, investor, inventor, writer, lieutenant colonel in the Spanish–American War, and a prominent member of the Astor family. Madeleine Talmage Force Fiermonte was an American socialite and a survivor of the RMS Titanic. She was also the second wife and widow of businessman John Jacob Astor IV. Nathan Straus was a German-born, American merchant and philanthropist who co-owned two of New York City's biggest department stores, R.H. Macy & Company and Abraham & Straus. Abraham & Straus, commonly shortened to A&S, was a major New York City department store, based in Brooklyn. Founded in 1865, it became part of Federated Department Stores in 1929. Shortly after Federated's 1994 acquisition of R.H. Macy & Company, it eliminated the A&S brand. Most A&S stores took the Macy's name, although a few became part of Stern's, another Federated division, but one that offered lower-end goods than did Macy's or A&S. Donald Blun Straus was an American educator and an executive in public service. Straus, who held A.B. and M.B.A. degrees from Harvard University, served as President of the American Arbitration Association, Executive Vice President of the Health Insurance Plan of Greater New York, Chair of the Planned Parenthood Federation of America, and a trustee of the Carnegie Endowment for International Peace and the Institute for Advanced Study. An early advocate of online education and public referendums via computers and the Web, he taught an online course in "Democracy in the 21st Century" for Connected Education in the late-1980s and early-1990s. He served as Faculty Associate and was a Life Trustee at the College of the Atlantic in Maine. The Titanic Memorial is a 60-foot-tall (18 m) lighthouse located at Fulton and Pearl streets in Manhattan, New York City. It was built, due in part to the instigation of Margaret Brown, to remember the people who died on the RMS Titanic on April 15, 1912. Its design incorporates the use of a time ball. Straus Park is a small landscaped park on the Upper West Side of Manhattan, at the intersection of Broadway, West End Avenue, and 106th Street. Titanic is a musical with music and lyrics by Maury Yeston and a book by Peter Stone that opened on Broadway in 1997. It swept the 1997 musical Tony Awards winning all five it was nominated for including the award for Best Musical and Best Score. 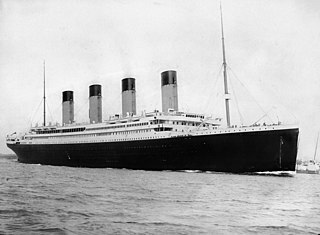 Titanic is set on the ocean liner RMS Titanic which sank on its maiden voyage on April 15, 1912. Jesse Isidor Straus served as the American ambassador to France from 1933 to 1936. Monuments and memorials to the RMS Titanic victims exist in a number of places around the world associated with Titanic, notably in Belfast, Liverpool and Southampton in the United Kingdom; Halifax, Nova Scotia in Canada; and New York City and Washington, D.C. in the United States. The largest single contingent of victims came from Southampton, the home of most of the crew, which consequently has the greatest number of memorials. Titanic was built in Belfast, Northern Ireland, and had a "guarantee party" of engineers from shipbuilders Harland and Wolff aboard all of whom were lost in the disaster and are commemorated by a prominent memorial in the city. Other contingents of engineers aboard the ship came from the maritime cities of Liverpool in England and Glasgow in Scotland, which erected their own memorials. Several prominent victims, such as Titanic's captain, were commemorated individually. Elsewhere, in the United States and Australia, public memorials were erected to commemorate all the victims. Rhoda Mary Abbott was a passenger on the RMS Titanic. She was the only female passenger who went down with the sinking of the ship and survived. Nathan Straus Jr. was an American journalist and politician from New York. 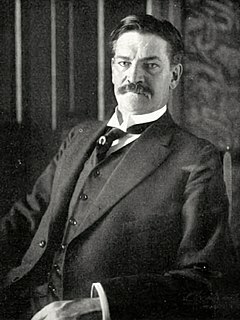 Dickinson H. Bishop was an American businessman who traveled on board the ill-fated maiden voyage of the RMS Titanic while on his honeymoon with bride Helen, née Walton. They both survived the sinking of the Titanic on 15 April 1912. Ellen Sulzberger Straus (1926–1995) was an American businesswoman and philanthropist who founded the United States' first telephone help line. ↑ "Many Waters Cannot Quench Love"